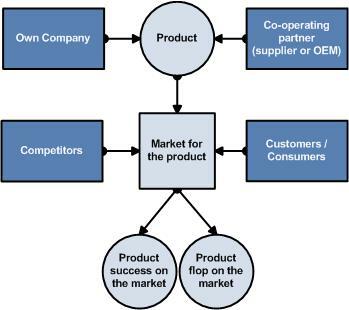 Manufacturing co-operations, innovation think tanks and technology clusters are well-known and profitable elements of a modern company’s structure. The fast pace of typical product life cycles and innovation rates make it necessary to gain as much external knowledge as possible to optimise supply chain organisation. The aim of this quantitative, empirical study is to develop strategic guidelines out of the most influential success factors of manufacturing co-operations. These guidelines should be reconfigurable and easily adoptable to the situations co-operations regularly face. In order to reach these objectives the authors identified 110 success factors and analysed their cross-factorial relationships. Strategic guidelines were then formed and were evaluated by 16 senior managers of various fields, e.g. the aviation and space, transportation, strategy consulting and publishing industry. On average these managers direct 1247 employees. aus: Grames, P. P., Redlich, T. &Wulfsberg, J. P. (2014). Reconfigurable Strategic Guidelines for Successful Co-operative Value Creation. In Enabling Manufacturing Competitiveness and Economic Sustainability (pp. 419-423). Springer International Publishing.